Keep up with the latest news and updates in the Northern California health and medicine community! First question you’re asking yourself, “who is Verena Hallam and what is a ‘gleepface’?” Verena is a blogger from the United Kingdom who has a fashion and beauty blog called gleepface.com. 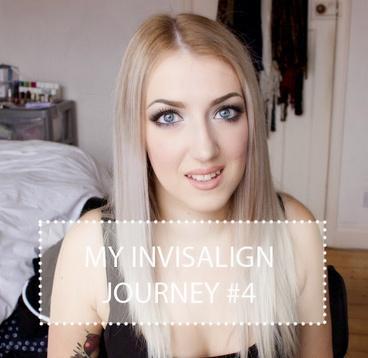 Now the second question you’re asking is, “what does Miss Hallam have to do with me?” Well, if you wish your teeth were straighter, or if you’ve considered getting Invisalign, then Verena is your girl. Most people consider moles and skin tags unattractive or uncomfortable when they have them on their body, but moles can also be a sign of something more serious such as skin cancer. 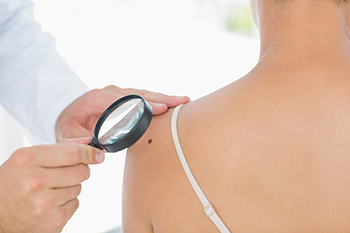 If you are located in the Northern California area, and would like to have your moles or skin tags removed or even just evaluated, then Vita Dermatology in Red Bluff offers safe and professional services. Are you looking for a way to brighten up a child’s holiday season? 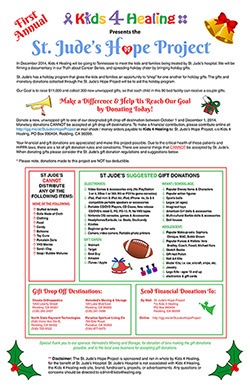 If you’re in the Redding, California area, you can join the local organization, Kids4Healing, in supporting the St. Jude holiday donation program. The program is collecting gifts and donations for children who wont have a Christmas otherwise. Get Thriller Fillers in October! 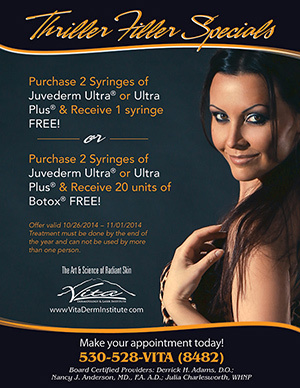 Vita Dermatology has some great new Juvéderm Specials available during October of 2014. » Purchase 2 Syringes of Juvéderm Ultra® or Ultra Plus® & Receive 1 syringe FREE! » Purchase 2 Syringes of Juvéderm Ultra® or Ultra Plus® & Receive 20 units of Botox® FREE! © 2011 - 2019 Shasta MD | Doctors, Physicians, Medical Professionals, and Healthcare in Redding, Shasta County, and the Northern California area.